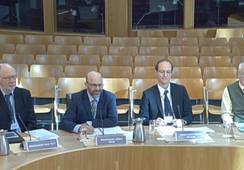 From left: Jon Gibb, Alan Wells, Richard Luxmoore and Guy Linley-Adams give evidence at Holyrood. Angling pressure group Salmon and Trout Conservation Scotland (S&TCS) has suggested a “three-strikes-and-you’re-out” approach that would force salmon farmers to harvest fish early if lice numbers exceeded trigger levels on three consecutive counts. Guy Linley-Adams: Suggested that fish farmers should be forced to harvest early if lice limits are exceeded. 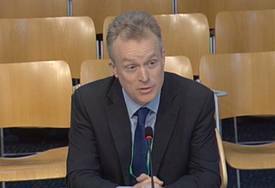 S&TCS representative Guy Linley-Adams put forward the idea while giving evidence to a Scottish Parliamentary committee inquiry into Scottish salmon farming yesterday. 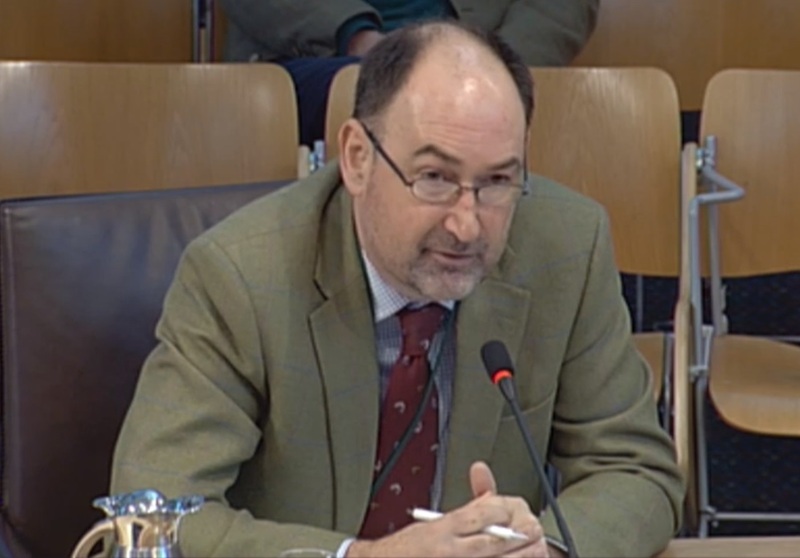 Linley-Adams appeared as a witness in front of the Rural Economy and Connectivity (REC) Committee inquiry alongside Jon Gibb, clerk of Lochaber District Salmon Fishery Board; Dr Alan Wells, chief executive of Fisheries Management Scotland (FMS); and Dr Richard Luxmoore, senior nature conservation adviser at the National Trust for Scotland, appearing on behalf of Scottish Environment LINK. 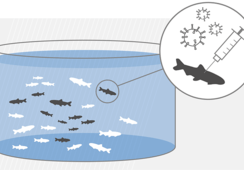 Linley-Adams, Gibb and Luxmoore also said salmon farming should move to closed containment in the medium-to-long term, something that they said would both help solve the industry’s problems with disease and mortality and protect wild fish from lice larvae released from fish farms. Alan Wells: Pointed to MSC certification as a way forward. Linley-Adams, however, said that “with all the provisos that lice per fish is not a good measure, it should be lice per farm, it would be sensible to put in a ceiling above which farms should not operate, should be required to harvest early to remove the fish. He pointed out that salmon farmers in the Faroe Islands must report their lice figures fortnightly and when they exceed 1.5 female lice per fish for three consecutive reports they have to harvest out their farms within two months – “three strikes and you’re out”. Wells said a lot of the things the angling industry was looking for already sit within the Aquaculture Stewardship Council (ASC) certification scheme. 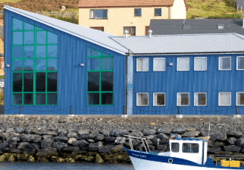 “It is one of the main reasons why we are working much, much closer with Marine Harvest now, because they’re the one company in Scotland that’s said they’re going to try to get all of their farms through this certification scheme. 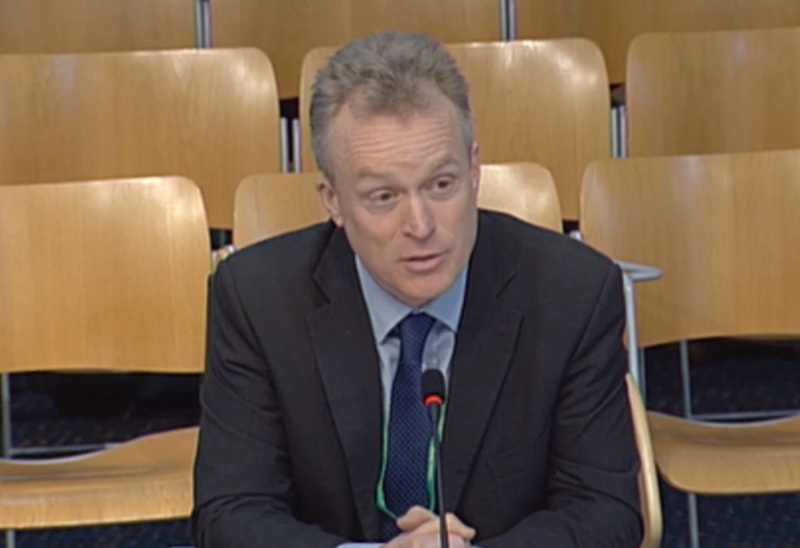 At the start of a two-hour session, Wells said a 2017 report on the value of the angling industry carried out for the Scottish Government indicated £135 million of angler expenditure, 4,300 full-time equivalent jobs, and £79.9m of gross value added, on 2014 figures. 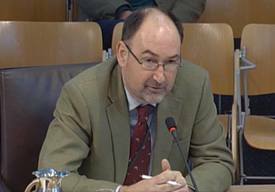 Asked by Glasgow Shettleston MSP, John Mason, if Scotland could have both successful wild fisheries and salmon farming, or had to choose one, Linley-Adams said the S&TCS was concerned salmon farming exists “within environmental limits” but that “as a simple principle there is absolutely no reason why the two sectors can’t co-exist and both thrive”. Wells said FMS has a position that sought thriving wild fish populations unaffected by salmon farming, a harmonious co-existence with fish farmers, a world-leading regulatory and planning system that protects wild fish, and “investment of a proportion of any profits generated by the [fish farming] industry into the protection and improvement of local salmon and sea trout populations and fisheries”. 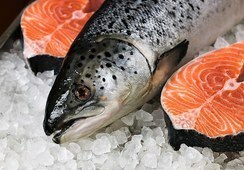 In answer to a question about any social or economic effects of disease in wild fish, Gibb said: “The last few years, the last decade or so – I should stress, it’s nothing to do with aquaculture, this, it’s purely a disease in wild fish – certain rivers, more so on the east coast than the west coast, and particularly rivers where early spring salmon come in and then the river dries up and they’re constricted in pools, you have a high density of fish in small pools, they have started to see, and continue to see, this UDN-type disease, or at least the symptoms of UDN (ulceral dermal necrosis). 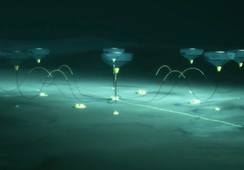 Linley-Adams said: “We see closed containment projects popping up in Norway. By closed containment I don’t just mean land-based closed containment, I mean floating closed containment units which would clearly be of greater significance in Scotland. Asked by convener Edward Mountain if he got losses of 20%, Gibb said: “No, I don’t, I run a very small operation, but I do get significant losses. I don’t want to be drawn too much on whether 20% is acceptable or not. If I had to be I would say it does seem rather high, but representing wild fish interests, the methods they use to transport dead fish or whatever, that’s not what’s affecting us. 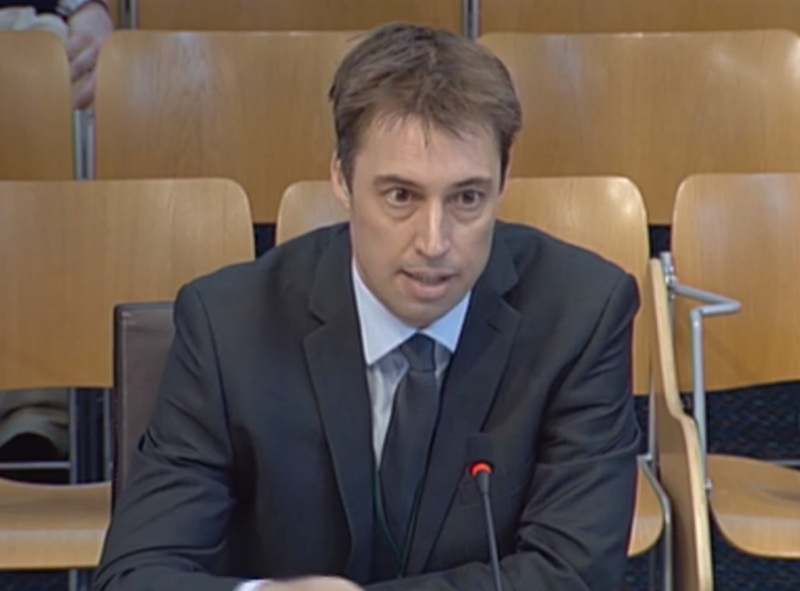 North east Scotland MSP Peter Chapman noted salmon rivers in the east of the country, where there are no salmon farms, are under pressure as well as those on the west coast. Wells said FMS had never taken the position that fish farming was the only pressure facing wild fish, but said that experiments had been done in Norway and Ireland that were able to isolate the effects of sea lice infection from the other pressures on the fish. 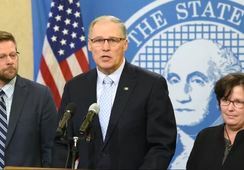 “They’ve taken two cohorts of fish and released them into the wild, one of which has been prophylactically treated against sea lice to protect those fish against sea lice and the other one isn’t, it’s the control. 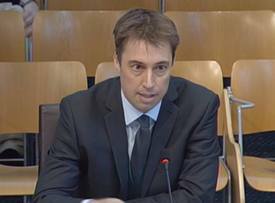 He said Marine Scotland Science had been doing similar experimental work on the River Lochy. “My understanding is that is has demonstrated that marine survival rates are extremely poor on parts of the west coast, certainly in my region of Lochaber, and you won’t find this on the east coast of Scotland if we’re making any comparisons. “You actually now have rivers that could simply be classed as extinct of Atlantic salmon. We have the River Coe, which as you’ll probably know runs through the middle of Glen Coe, had one salmon redd in it this year as far as we could count, so that suggests that it may have been one pair of salmon in that whole river. That used to be a thriving river. In other evidence, Luxmoore pointed out that the waste from one 2,500-tonne fish farm was the volume equivalent of the sewage output of two towns the size of Oban. The next evidence session will take place on April 18, when Scottish Natural Heritage will give its views.